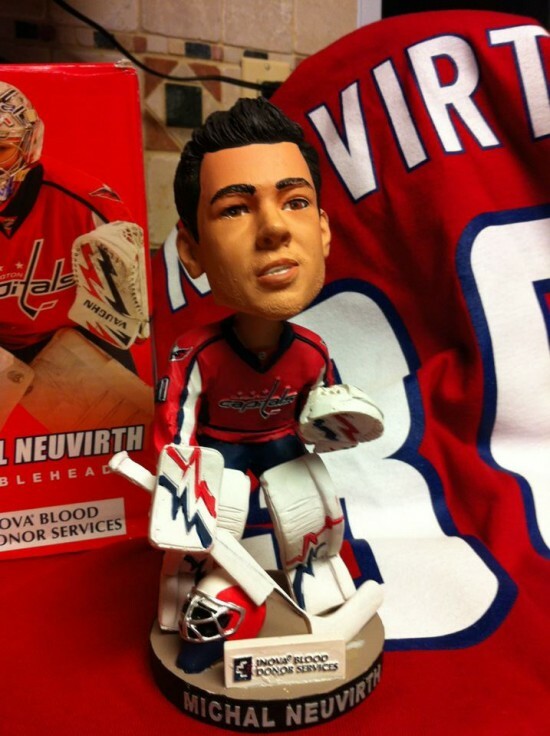 Folks who made their way to Kettler Capitals Iceplex on Saturday for the Inova Blood Drive got themselves the latest Capitals bobblehead, goaltender Michal Neuvirth. Not a bad sculpt at all, but hardly the caricature of the young Czech we’ve come to love, such as Hello Neuvy, or Icelandic singer Bjork. 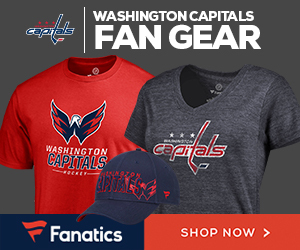 (My grandmother thought he was Japanese – anyone wanna draw a picture of him holding a samurai sword?). 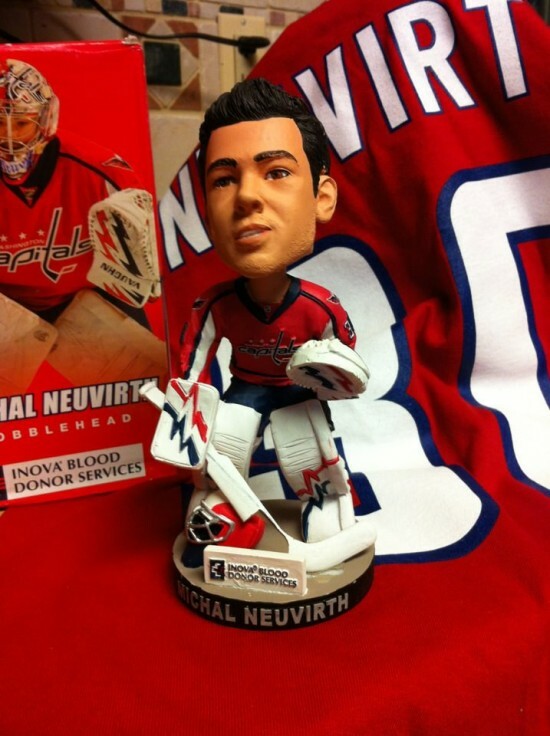 Considering other Inova-sponsored Caps bobbleheads – which are limited only to a few thousand total – have sold for upwards of $100 on eBay, it’ll be interesting to see what goaltender 1A will fetch. 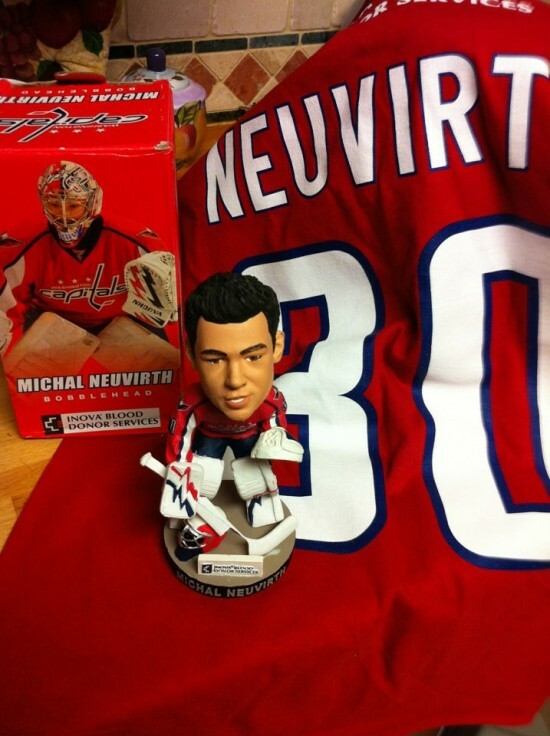 Someone already listed one for a starting price of $50. That’s some expensive blood.